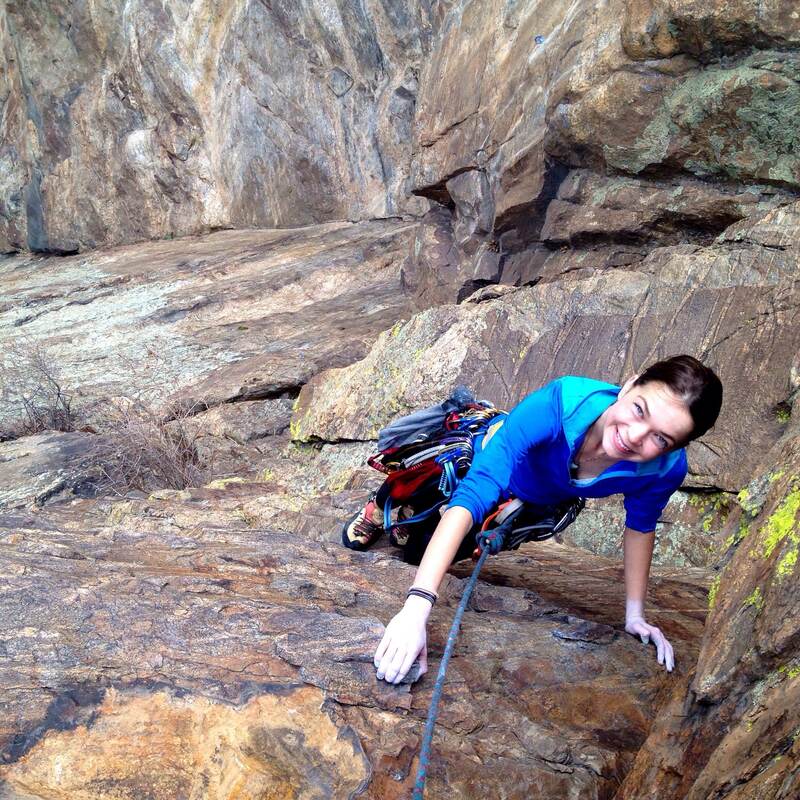 Long before the #ColoradoList adventure project was born, I had a dream: I wanted to climb my first multi-pitch route. For my non-climber readers, Santiam Alpine Club describes it as: “A technical climb that is longer than a single rope length, thus requiring multiple anchors and belay stations.” Basically, I usually climb routes that are between 40 and 90 feet tall. 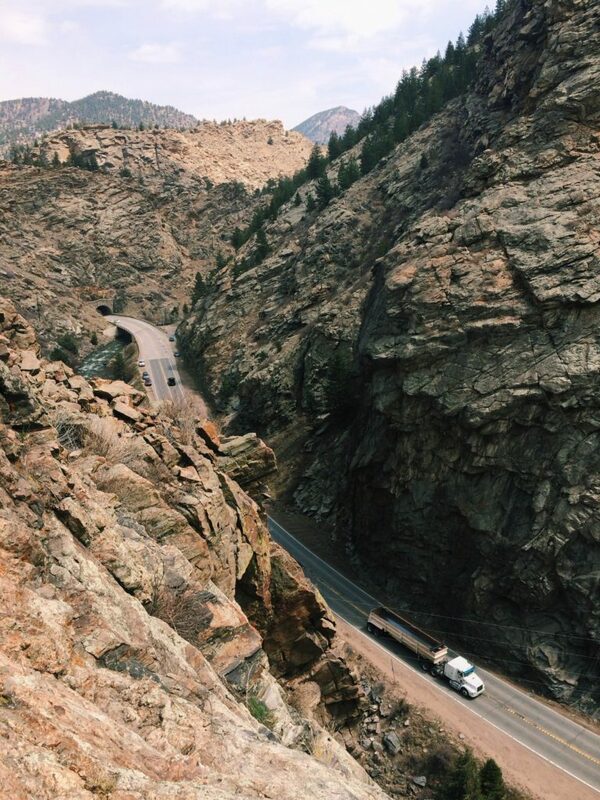 Playing Hooky is a 400′ tall, four pitch route in Clear Creek Canyon. After months of not climbing at all, I decided that it would be a fantastic idea to go from couch-to-crag on my first multi-pitch climb ever. Because, why not? It was the first time I actually met the wonderful Jason Gebauer in person, and there’s no better way to really solidify a friendship than to trust someone to belay you up four hundred feet of granite while teaching you knots at hanging anchor stations. I was definitely a little bit nervous as I pulled on my harness and laced up my shoes, but Playing Hooky is the perfect route for a climber looking to experience their first multi-pitch. Playing Hooky has an overall grade of 5.8 – but the pitch breakdown is 5.9 on pitch one, 5.8 on pitch two, 5.7 on pitch three, and 5.8 on the final pitch. Most climbers link the last two pitches, which is what Jason and I did. The first pitch is undoubtedly the most difficult. There are two defined cruxes on Playing Hooky, one of which is just a few dozen feet off the deck. It was my only “fall” on the route, as I had to take to totally redo my ugly footwork while trying to reach the next hold. Surprisingly, in a situation where I would usually have started to illogically panic and cry, I took on a new perspective: I started to problem solve. I employed way more hand-foot matches than are necessary on a 5.8, but managed to work my way through every tricky section I hit. The second half of Playing Hooky mellows out until you hit the final exposed section and have to top out. If I wasn’t the second (meaning I was on a top-rope), I totally could have lost my head in that moment – but the intimidating finale led to the most victorious view from the top. It had drizzled on us a bit during the last two pitches, and a mean wind started blowing as I approached the final set of anchors. After clipping my daisy chain into the anchor, my climbing blinders disappeared and I was greeted with an incredible view of Clear Creek Canyon. The cars below in the parking area looked like ants, and I couldn’t even see the bottom of the wall I had just climbed. It was a proud and empowering moment, and I am so grateful to Jason for showing me the ropes (couldn’t resist the pun). After rappelling down the route, obsessively checking ourselves for ticks, and munching on a few warm strawberries, Jason and I headed up to Lookout Mountain for a little photo-shoot he wanted to do for Mile High Clothing. 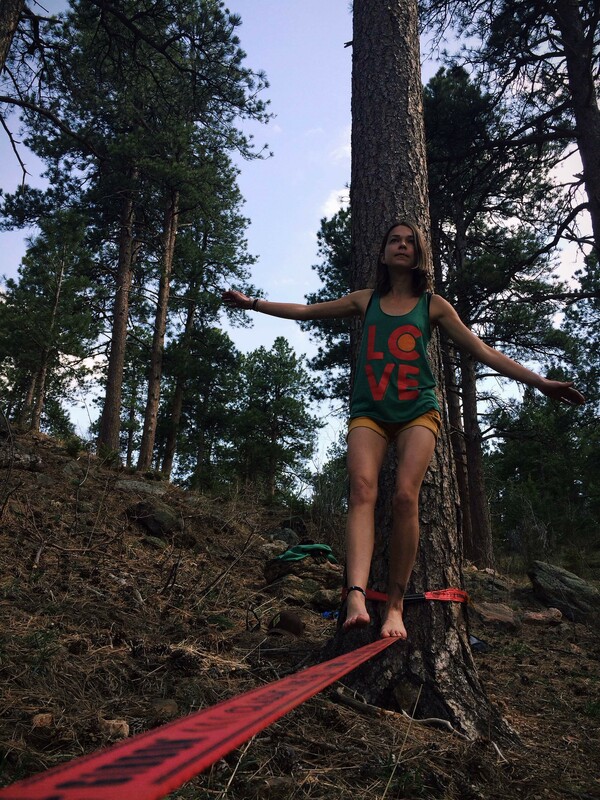 We set up a slack-line between two trees, and I did my best to maintain my balance without making my signature hideous try-hard faces – it was no easy task, y’all. I am proud to say that the first tick is officially accomplished on my Colorado List adventure bucket list! Thank you Jason Gebauer for entertaining my demands for photos (any one you see of me was taken by him! 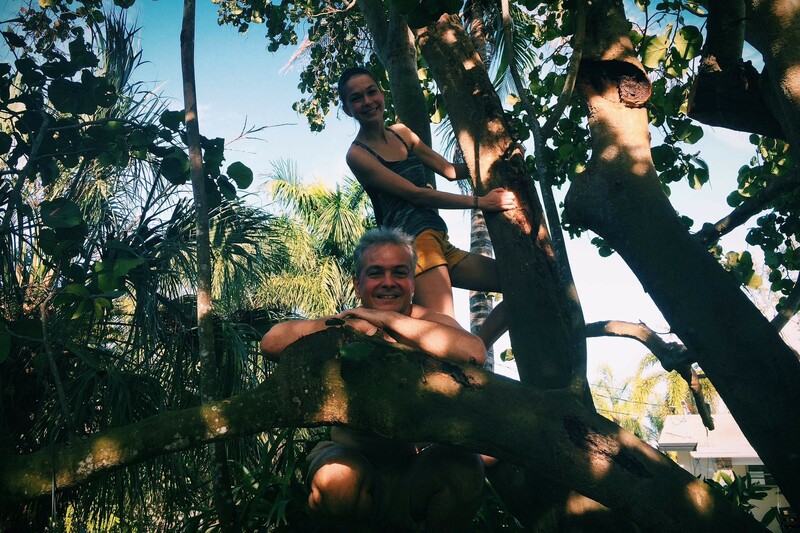 ), letting me steal your fruit, and being such a great climbing partner! 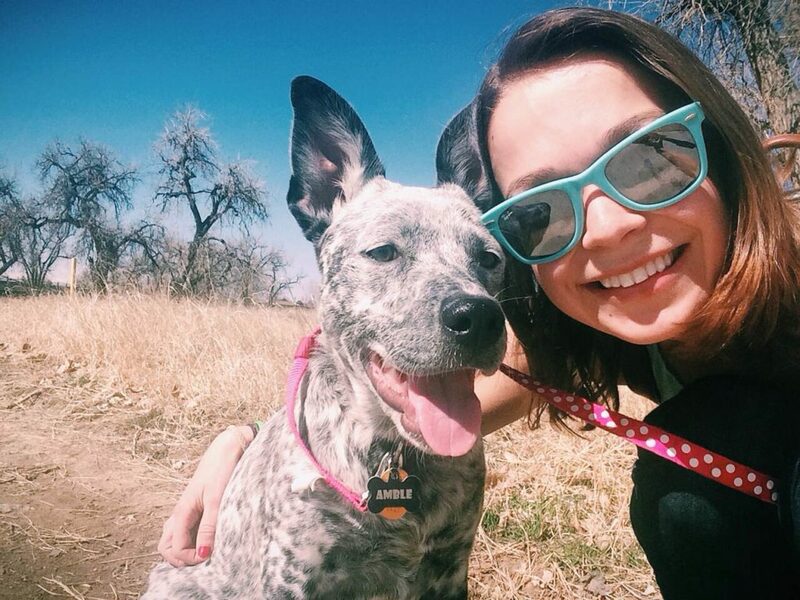 I’m already debating which #ColoradoList excursion I should go for next – I’m thinking a big hike this weekend. Stay tuned for more as my Colorado List project continues to grow. What’s your biggest goal outdoors? What are you doing to move towards accomplishing it? 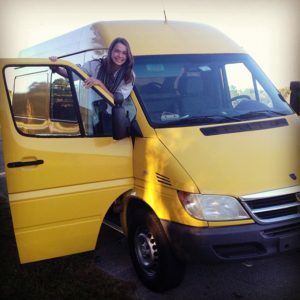 I have toured the country in vehicles ranging from my infamous retrofitted Sprinter van to my Scion tC hatchback, and even a Honda Pilot. Experiencing adventure travel in such a diverse spread of four-wheeled exploration enablers has offered a wealth of perspective on what it takes to be a worthy road warrior. My Sprinter was superior for living on the road, but my hatchback was the clear victor when it came to parking at a crowded trailhead. So how would the 2015 Honda Fit perform as a car for adventurers? My first impression of the 2015 Honda Fit was well, this is a pretty cute little car. Honestly, cute and little don’t exactly fit into the list of things I look for while seeking the ideal car for adventure – but then I saw the interior. Honda prides itself on the wizardry they crafted when designing a vehicle that is very compact on the outside, but packs a big punch when it comes to interior space. 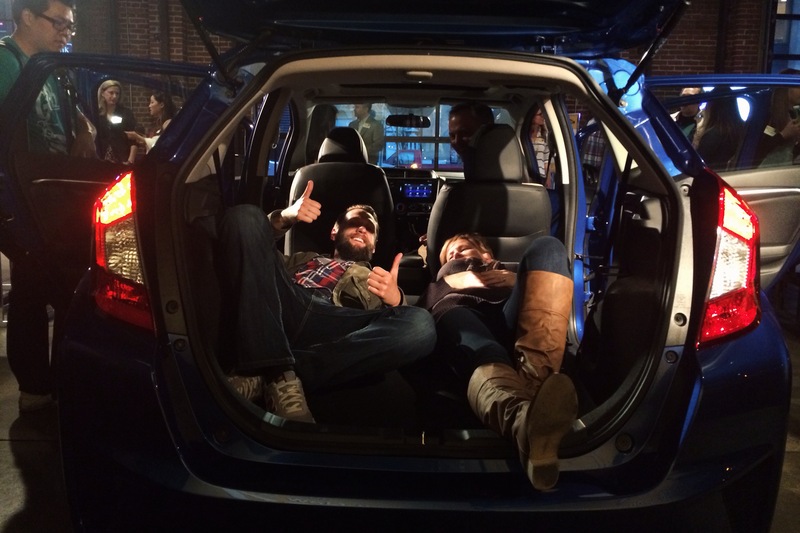 The 2015 Fit has 52.7 cubic feet of cargo space – enough for multiple crash pads, camping gear, climbing equipment, and my dog. As a chronic over-packer, that was the first thing that made me start thinking the 2015 Fit could prove itself worthy of adventure. The improved design features fold-down rear seats that lay completely flat, so I could comfortably lay down a sleeping pad and car camp inside (I’m 5’4 – taller people would definitely have to lay diagonally a bit). The rear seats can be configured in a number of ways to accommodate anything an adventurer needs to haul. Utility Mode is the previously mentioned method of laying the rear seats flat to create a large space in the cargo area – I’d probably spend most of my time with the Fit in this mode. Tall Mode lifts the bottom of the rear seats to create a bucket-style space that can fit up to two mountain bikes for easy transportation. For long adventure gear like surfboard, Long Mode makes room for equipment up to 7’9 in length. My favorite configuration is Refresh Mode: removing the front headrests and reclining the front seats all the way creates a chaise lounge set-up perfect for kicking back after a long hike or relaxing while road tripping. It only took one evening for the Honda Fit to win my heart as a vehicle I could easily travel in – but how did the 2015 Honda Fit perform on the road? I teamed up with Casey from Modern Hiker to test drive the Fit, and we were both instantly impressed. Driving the 2015 Fit from the streets of downtown San Diego to the coastal highways near Torrey Pines was fantastic. The acceleration is smooth, the eco-minded mileage meter keeps you motivated to drive economically, and features like a LaneWatch camera mounted on the passenger side mirror make driving the 2015 Fit a pleasant experience. A key perk for adventurers is the quiet interior perfected by Honda. The 2015 Fit is noticeably quiet, even on a crowded highway. As someone who spends a lot of time snoozing next to rumbling semi-trucks in interstate rest stops, a sound-blocking interior is a major bonus. An impressive list of safety features further solidifies the Fit’s accolades as a great vehicle for someone who spends a lot of time traveling. 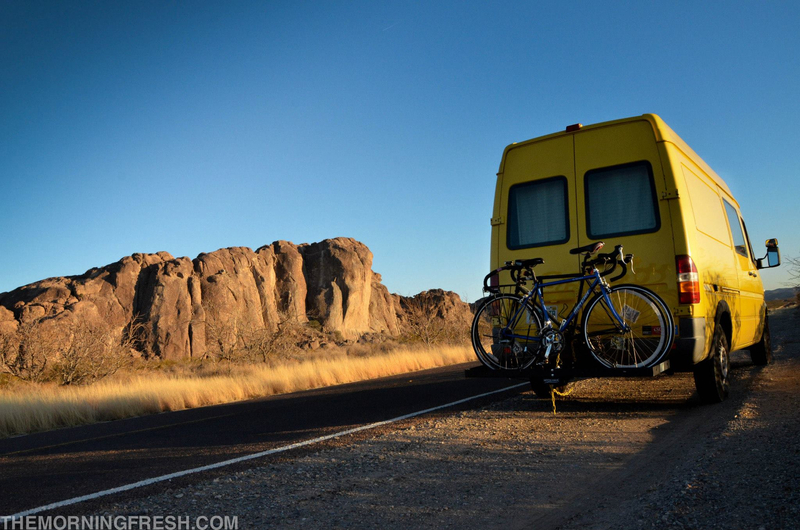 For chronic road trippers, fuel efficiency is a major concern when choosing an adventure vehicle. The 2015 Honda Fit gets 33 mpg in the city, and 41 mpg on the highway – although my partner Casey managed to pump it up to 42 mpg during our test drive. I’ve driven multiple hybrids that get excellent mileage, but this is the first car with such high mileage that drove like a real, hearty car with strong acceleration. 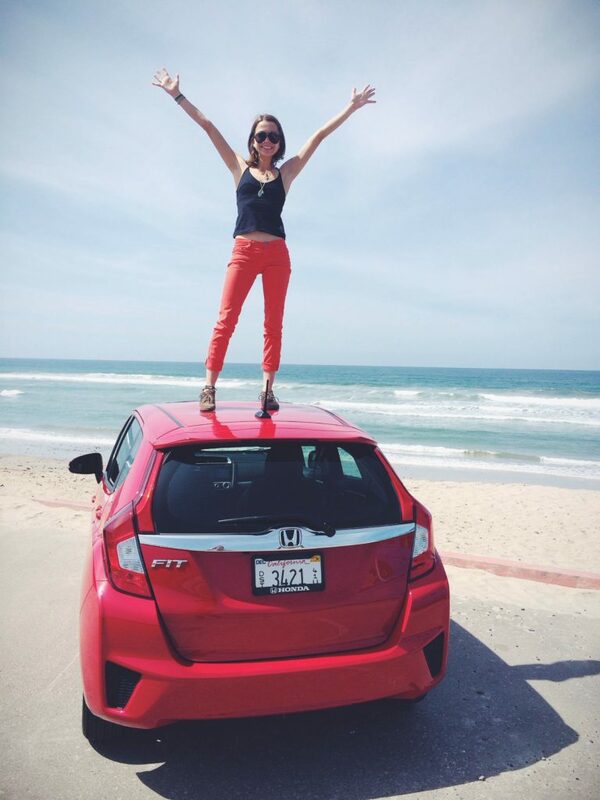 So what didn’t I love about the 2015 Honda Fit? Honestly, not much. The Honda Link navigation system was a little bit tough to get used to (what can I say, I love Google Maps), but that was my only complaint about the car. By the end of my time test driving with the Honda crew, I was seriously scheming ways to trade in my Scion for the 2015 Fit. 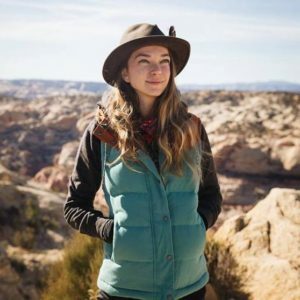 My first-hand experience with the vehicle was only supported when I reached out to readers for their opinions on Fits, and found a surprising number of fellow adventurers who love their Fits – including climbers. 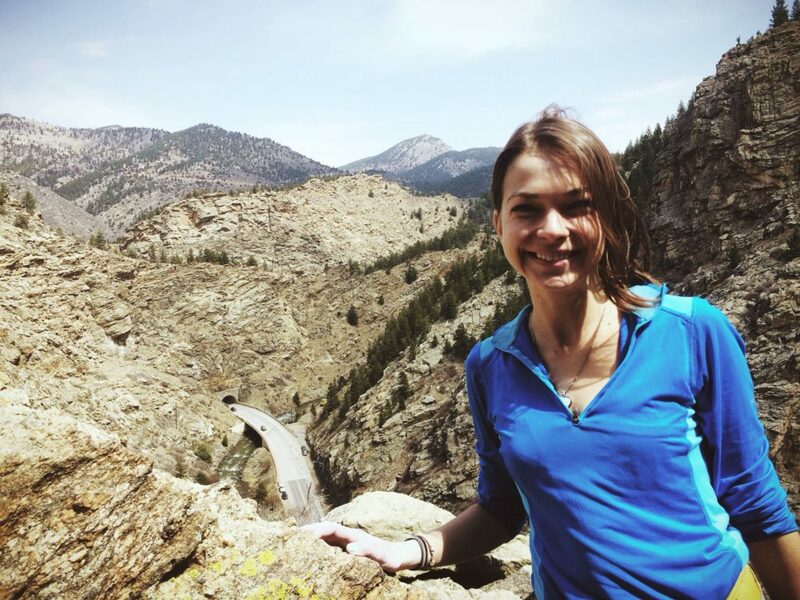 The fellas behind two of my favorite climbing blogs, Climbing Narc and The Stone Mind both drive Fits, and lady adventurer Laurie Tewksbury said she’s never been stuck in the snow in her Fit. Check, check, and check. 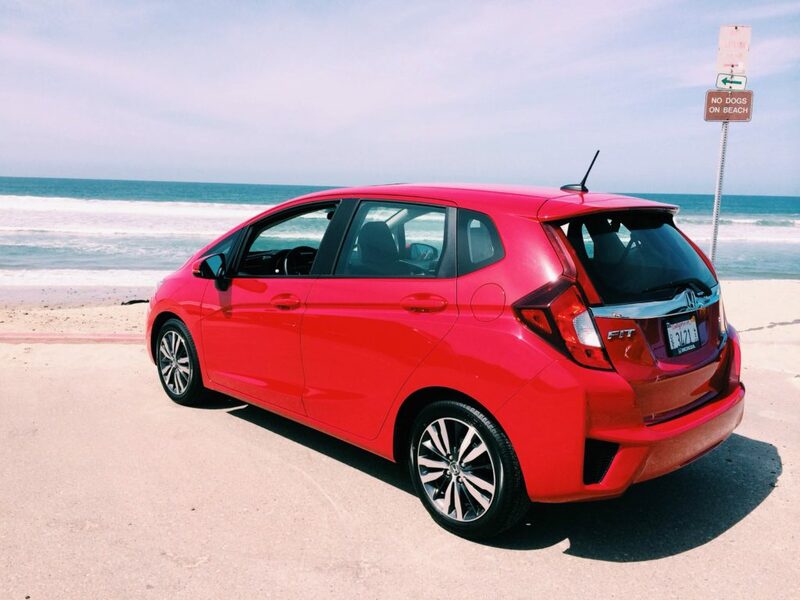 I’m on a mission to figure out how I can get my hands on the 2015 Honda Fit, and make it my new adventure side-kick. Now that I’ve officially launched my new Colorado List adventure project, I need a reliable vehicle to join me for all my explorations. From a sleek moonroof and the ability to park anywhere to sturdy handling and seemingly endless cargo space, the Fit offers the perfect combination of ladylike style and dirtbag functionality. 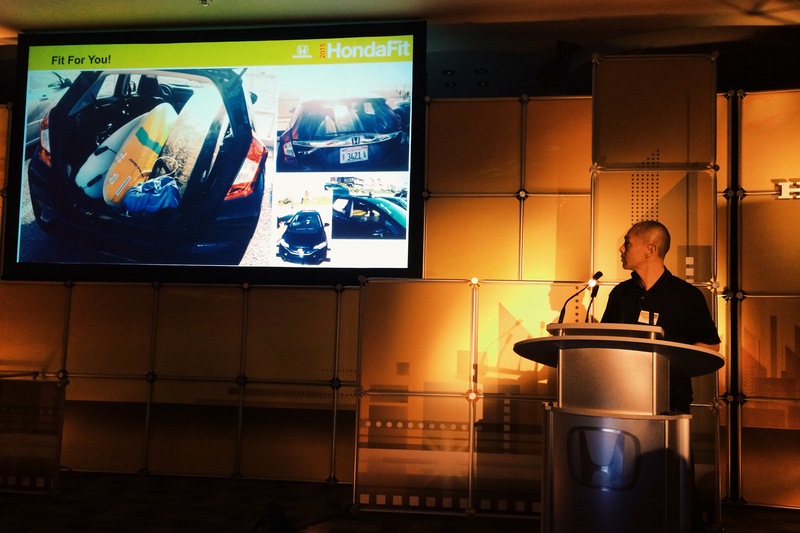 Want to hear more about the 2015 Honda Fit? Read the reviews from SoCal Hiker and Campfire Chic! What’s YOUR go to adventure vehicle? The purpose of the trip was to spend the weekend test driving the all-new 2015 Honda Fit – but I agreed to a media information embargo until April 9th, so I’ll have to keep the details about the car a secret for another week. Until then, here’s a little peek at what I did before, during, and after the actual test-driving adventures. The journey began with a quick two hour flight from Denver to San Diego. Y’all, this may be my favorite flight route of all time. It started with a crossing over the Rocky Mountains (holy turbulence! ), before flying over dry desert landscapes, including the Grand Canyon and Joshua Tree National Park. After passing over the Salton Sea, we hit another ridge of green mountains before the Pacific Ocean came into view. 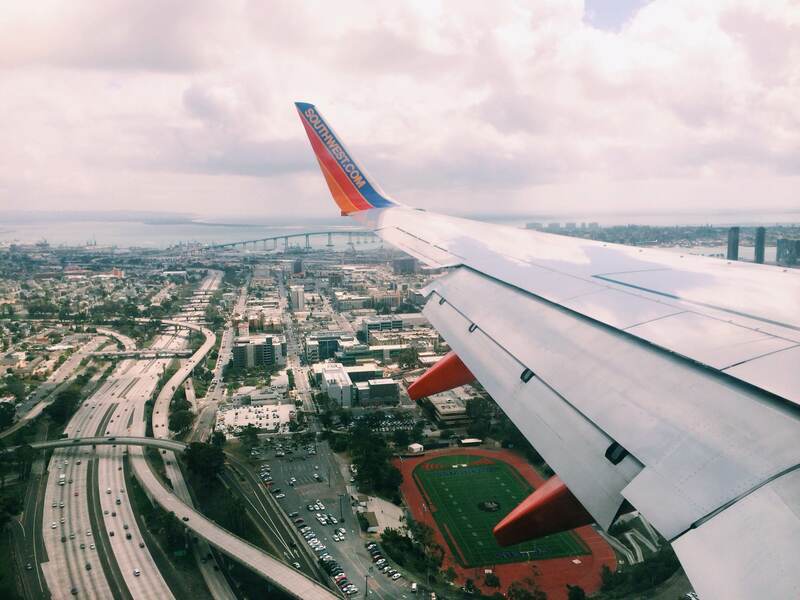 Landing in San Diego was a riot – you literally fly through downtown. 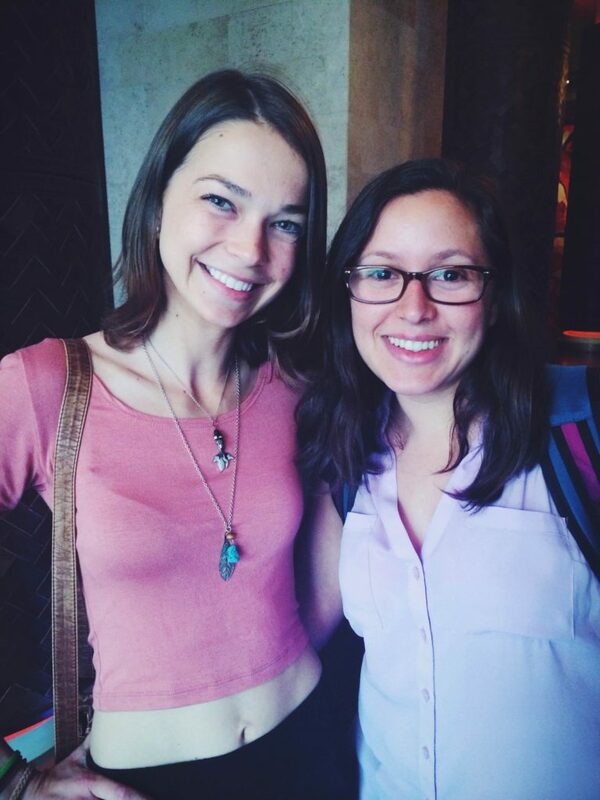 I felt like we were going to side-swipe a skyscraper at any moment. I was scooped up at the airport – and totally giggled when I saw a dapper man in a suit holding a sign with my name on it. Is this real life? 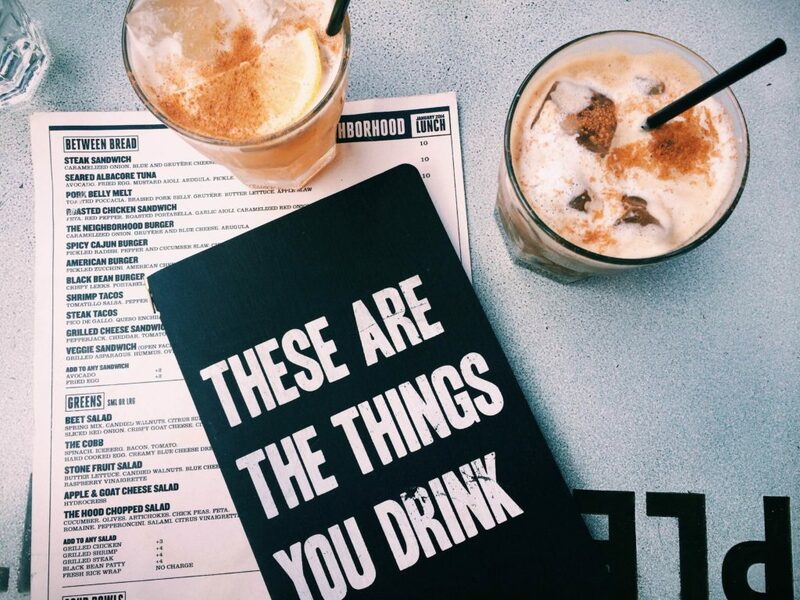 After checking into the stunning Andaz Hotel, I snuck away before the first press dinner to meet up with two of my favorite Californians for cocktails at a hip (but not offensively so) bar called Neighborhood. Alyssa and Paul are one of the coolest couples – they race triathalons, are total foodies, and have some killer projects up their sleeves. As soon as I got back to my hotel room, the weekend took off at full speed. 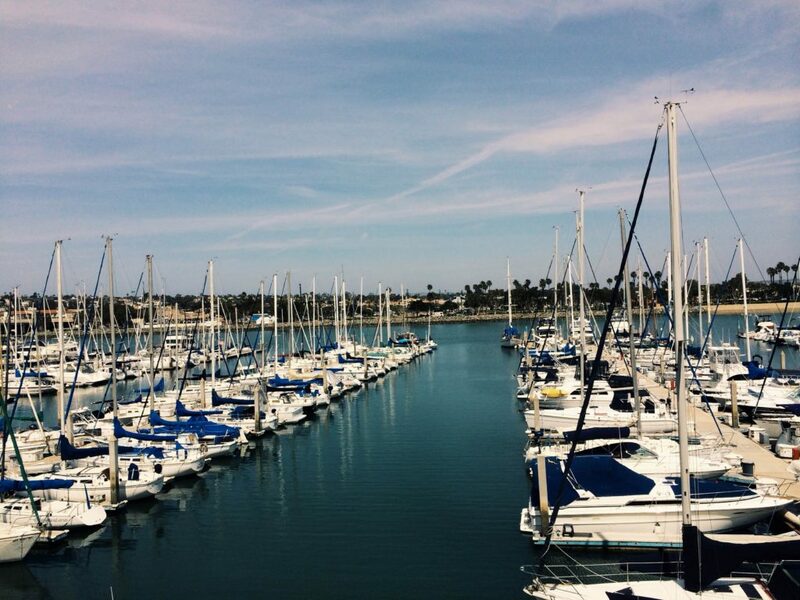 It was a totally whirlwind of seafood, car specs, driving all over San Diego, and meeting fantastic people. I finally got to put faces-to-the-names of Jeff from SoCal Hiker, and one of my favorite lady bloggers of all time, Kam from Campfire Chic. When it came time to get behind the wheel of a 2015 Honda Fit, we had to choose driving partners – so naturally I ran straight for my #omniten brother, Casey of Modern Hiker. He has proven himself many times as a worthy adventure partner, and he even let me pick which color Fit to drive around! Couldn’t resist the spice of the red color. We spent the afternoon speeding around San Diego, cruising from the one-way streets in downtown to the rolling hills along the coastal highways. There was a surprise photo contest involved, so we even made a pit-stop at a local surf shop to convince the owner to let us “borrow” a few surfboards to toss into the hatchback. Casey entertained my craving for the ocean, so we stopped at Mission Beach and strolled along the shoreline for a bit before heading back to the Honda festivities. I can’t imagine my life without mountains nearby, but traveling to San Diego made me realize how much I adore the ocean. 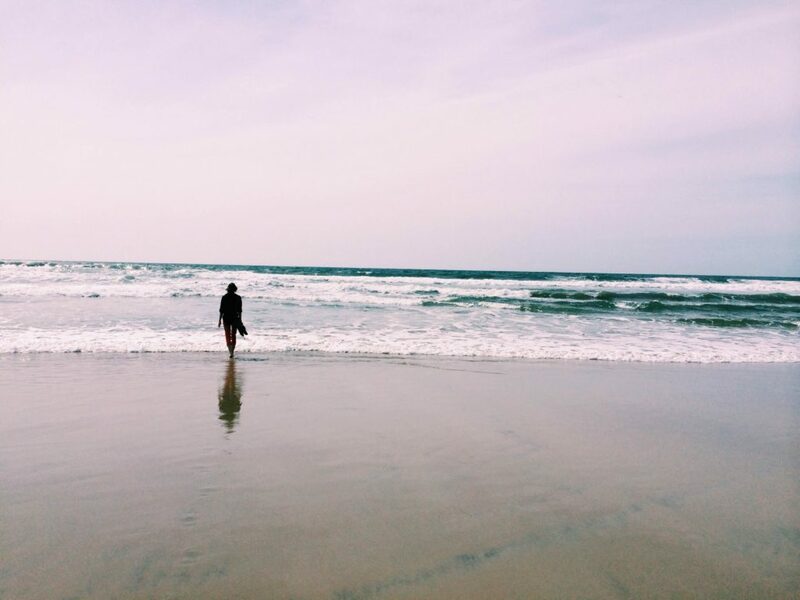 Even though the Pacific chilled my toes the moment I dipped my feet into the water, just being near the salty air and sandy shores was instantly blissful. At the end of the day, we gathered at a local taco joint/cocktail bar to announce the winners of the day’s contests – and Casey and I both ended up victorious! 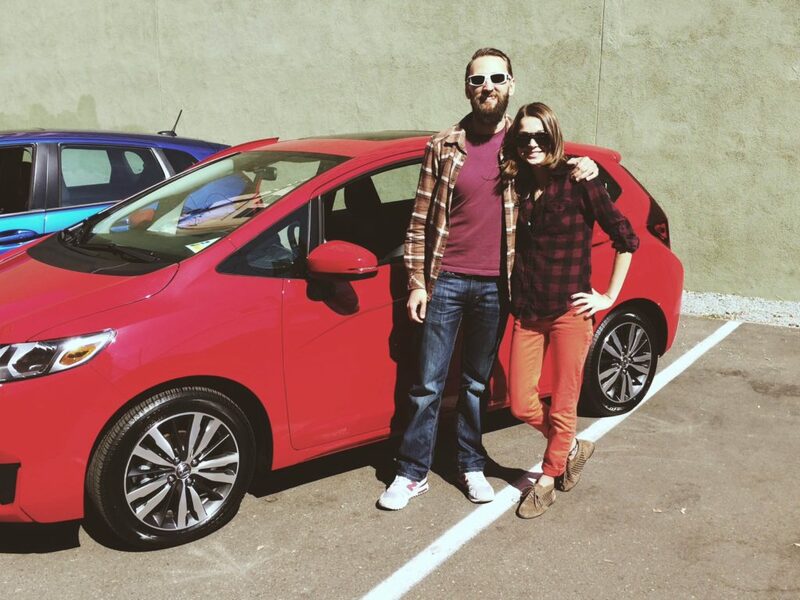 Casey impressed everyone by getting 42 MPG during his test drive (the Fit is only advertised as getting up to 41! ), and I won for my photo of us with the surfboards in our Fit. We both got $500 donated to the San Diego Special Olympics in our name, which was the icing on an already fantastic experience. I’m already back in Colorado, but California is high on my radar for future adventure travels. I have an airline voucher I need to use before the summer ends – and I’m thinking another flight to the west coast is in my future! 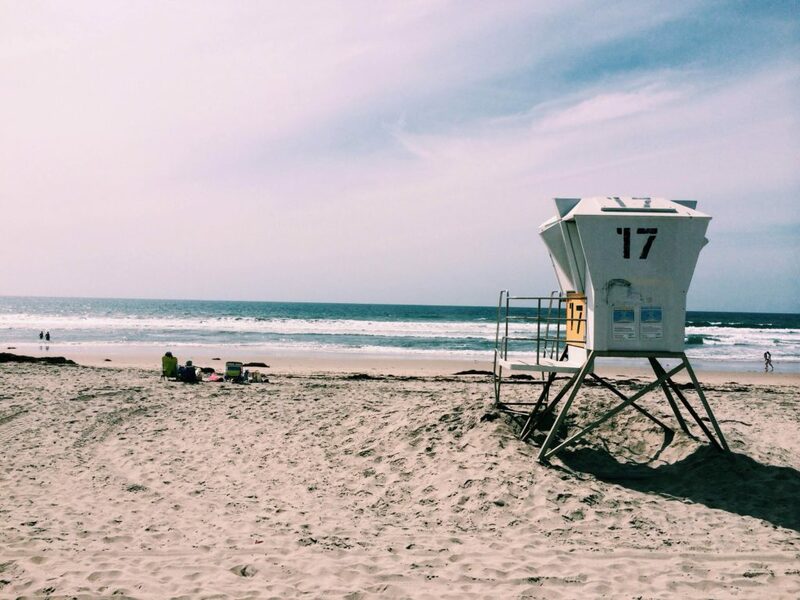 From the driving around Mission Beach to jamming to jazz music at a downtown speakeasy, San Diego knows what’s up. The official start of everyone’s beloved post-winter season was officially on March 20th, but this entire month has been a spring reckoning for me. 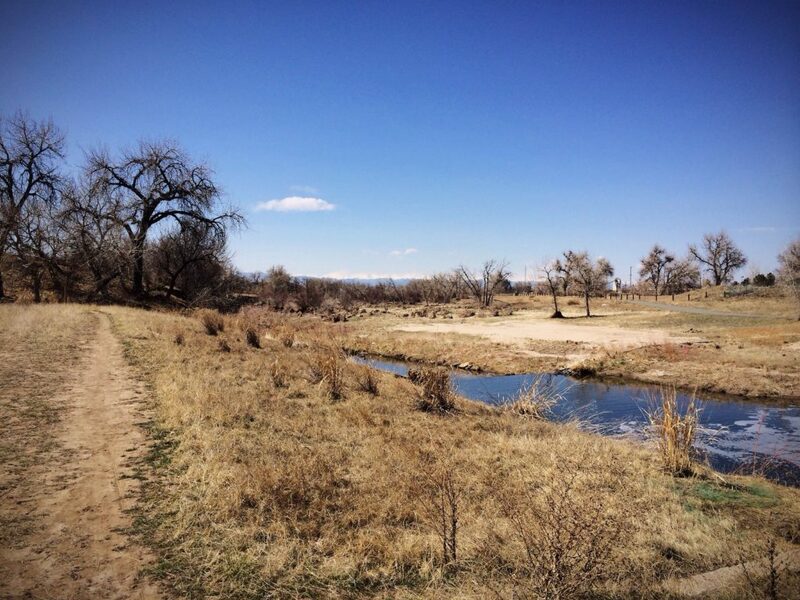 I experienced the signs of spring in places from my backyard in Miami to the trails of my favorite greenway system in Denver. My first glimpse of spring was in Tallahassee. I woke up one morning, looked out my bedroom window – and there they were: branches and twigs crowded with fuscia blossoms. It was still cold enough outside to warrant sleeping with socks on, but the sight of blooming Japanese magnolias offered hope. 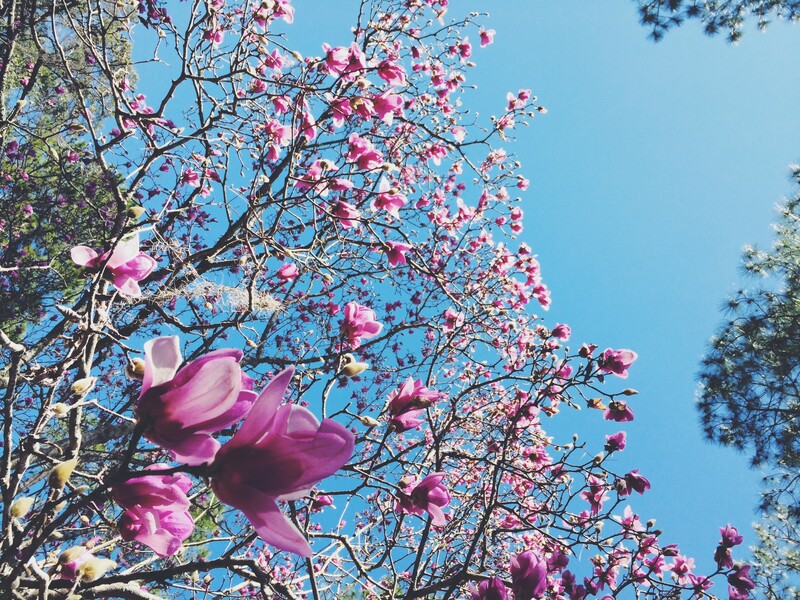 Always the first flowers to boldly declare the promise of warmer weather, their purple petals made the final few weeks of living in Tallahassee a little brighter. When I retreated south to Miami, the signs of spring were less obvious. 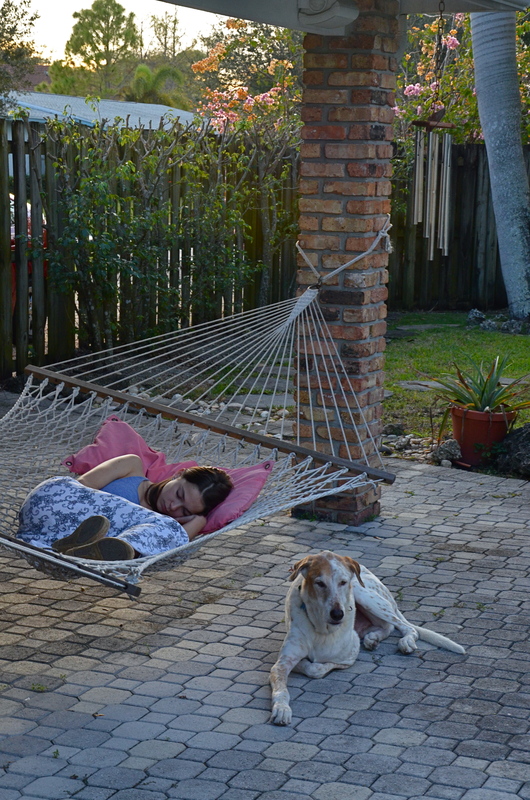 Winter is nothing more than a few weeks of evening sweater weather so far south, but even the warmest part of Florida managed to deliver the kind of natural bliss that makes this year the most sanguine season. While the earth was already full of green, I spotted the kind of delicate growth that only the touch of spring can bring – dotted along the massive sea grape in my backyard were freshly hatched orchids, capitalizing on the perfect combination of sunshine, rain, and warmth. Spring is everywhere, if you know where to look. Here in Colorado, spring has a more erratic yet defined feel. One day, the ground is blanketed with late-season snow – and then the next, I’m wearing a tank top while hiking on perfectly dry trails. There’s something gratifying about the pronounced transition from cold to warm. I have absolutely no control or effect over the weather, yet it feels like I’ve somehow earned these days of sunshine after an afternoon of snow flurries. This spring has been a season of changes in my life that reach far beyond watching grass go from dry wintry straw to lively green growth. There is so much adjustment to adapt to as I settle into my new home, so many personal revelations to embrace, and a whole new world to explore. All of this change is putting me in the best place I’ve ever been in my life – and this is exactly the season to be experiencing it all in. 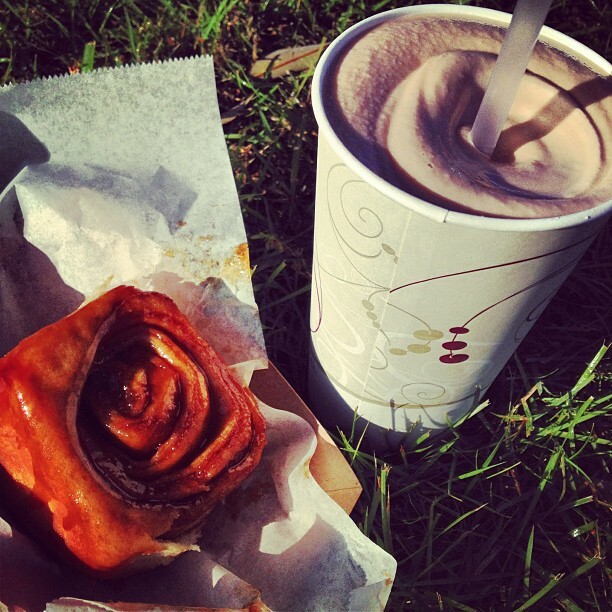 Cheers to spring! What does spring look like in YOUR neck of the woods? Do you have any tell-tale signs of spring you wait all winter for? *Note: This post is sponsored by Nature Valley. 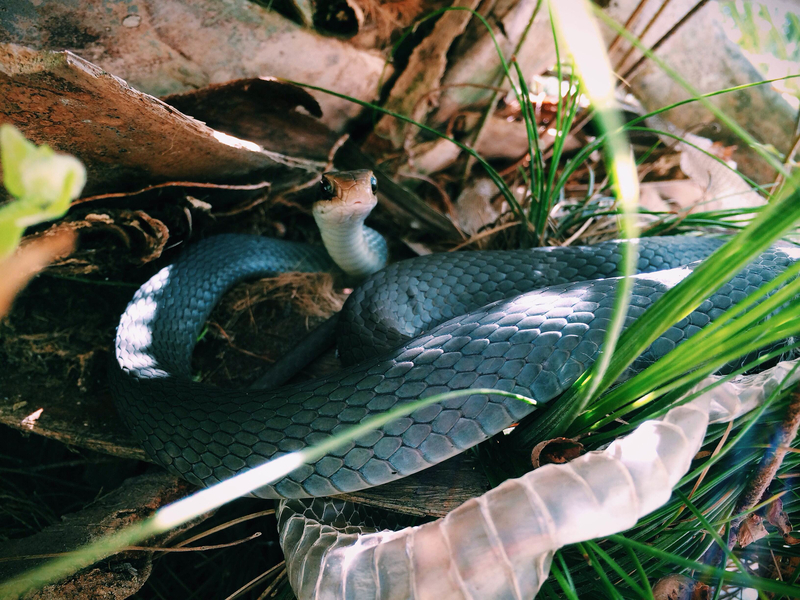 For more outdoor inspiration, check out their fantastic Nature Project Tumblr. 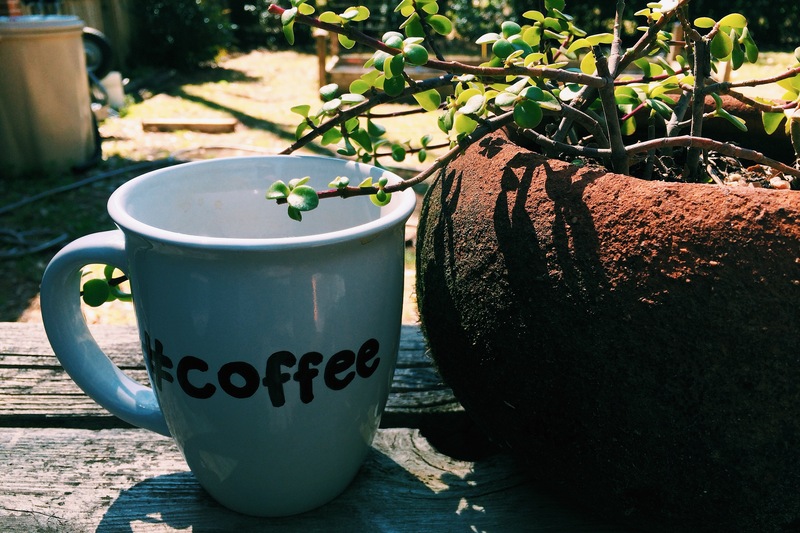 Fresh Morning Monday: Florida Farewells, Adventures in Oil Pulling, and San Diego with Honda! Who me? Back in Miami, again? After rolling with the punches during a very quick period of life changes, I’ve found myself tanning on the patio at my childhood home in Miami during my last week in Florida for the foreseeable future. As eager as I am to get out of this flat state and dive into the world of mountains and boulder fields, it has been great to relax and rejuvenate down here. 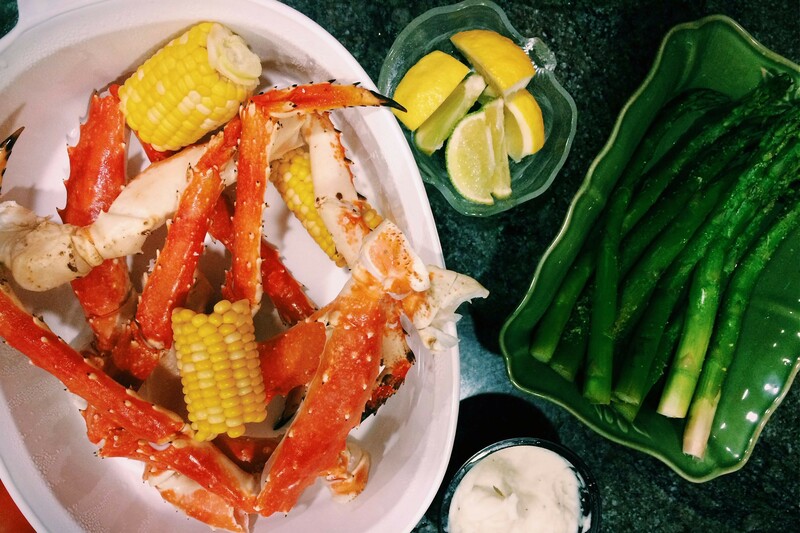 In a nutshell, my week is going to be full of playing in my backyard with Amble and Rusty, feasting on my mama’s outrageous homemade meals (crab legs, what! ), exploring by the sea, and refreshing my spirit before my road trip from Florida to Colorado begins. Life is good, folks. While I’ve been down here, I finally went to Costco and bought a giant tub of organic, cold-pressed coconut oil – and totally got lured into trying the whole oil pulling thing. What is oil pulling? It’s basically an old-school method of detoxifying and promoting oral health by swishing some coconut oil in your mouth for 2o minutes every day. I know a few ladies and gentlemen who are big fans of it, but I’m waiting at least two weeks before I decide if I think it’s worth it or not. I’d love to hear feedback from anyone else who has tried it! Continuing with my new quest to be healthier and spend more time focusing on my body and wellbeing (because hey, single life has some perks – like all the time in the world to proritize you), I was stoked to arrive in Miami to a package from Skinourishment waiting on my bed. 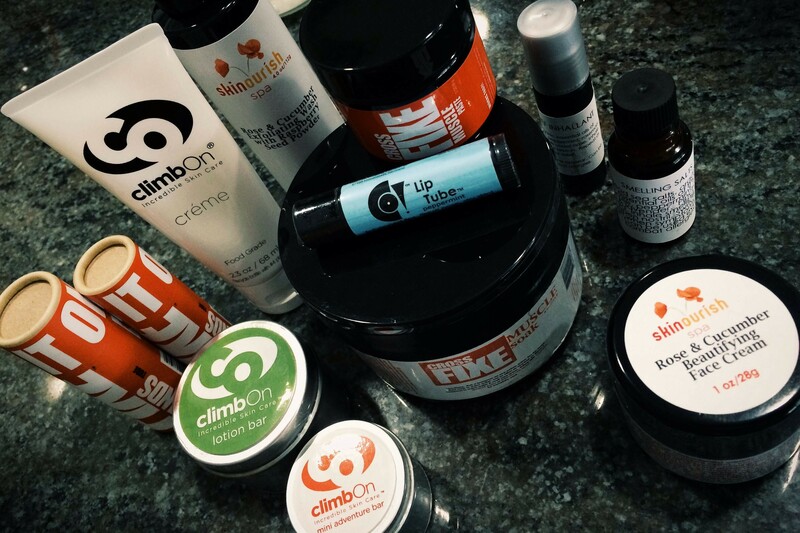 There were were a few great new products in the box that I can’t wait to review for y’all – starting with a big head-to-head-to-head climbing salve review I’ve been putting together for a few months. Stay tuned for more from Joshua Tree Organics, Giddy, and ClimbOn! From Miami to Tallahassee and all the way to Denver, March is bringing a lot of travel and adventure my way – but the journey won’t stop once I arrive in Colorado. I’m really excited to share with y’all that at the end of March, Honda is flying me out to San Diego to test drive the new 2015 Fit! As someone who has experienced long cross-country road trips driving everything from Honda Pilots and Scion tCs to last year’s epic Dodge Sprinter, I know that it takes a special car to be an adventure-worthy vehicle. Can’t wait to share my thoughts on the 2015 Honda Fit, and put it to the road warrior test down in Southern California! 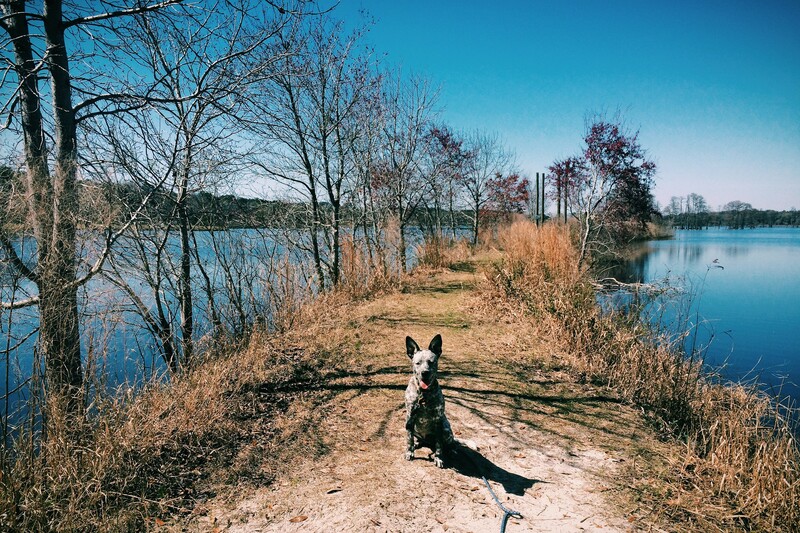 Do you have any big adventures on your March agenda? Has anyone else ever tried oil-pulling? 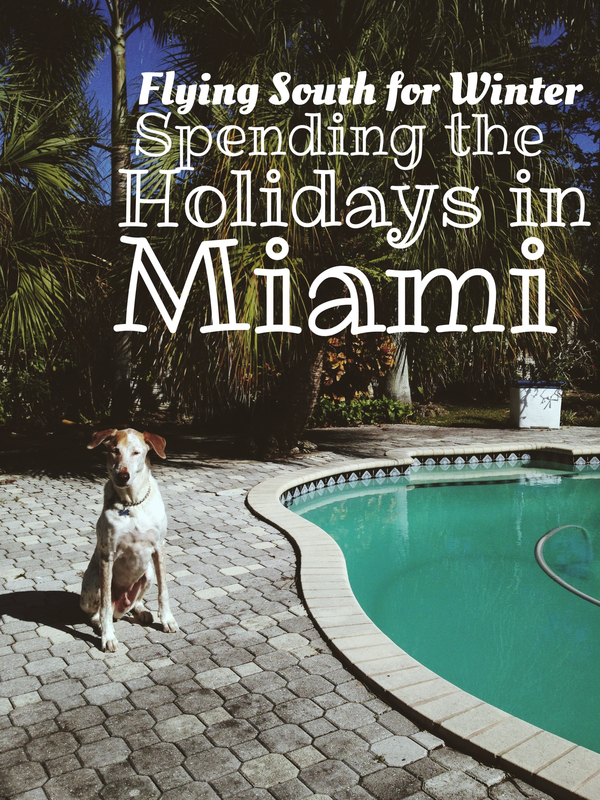 And most importantly: Who wants to play with me in Miami?! 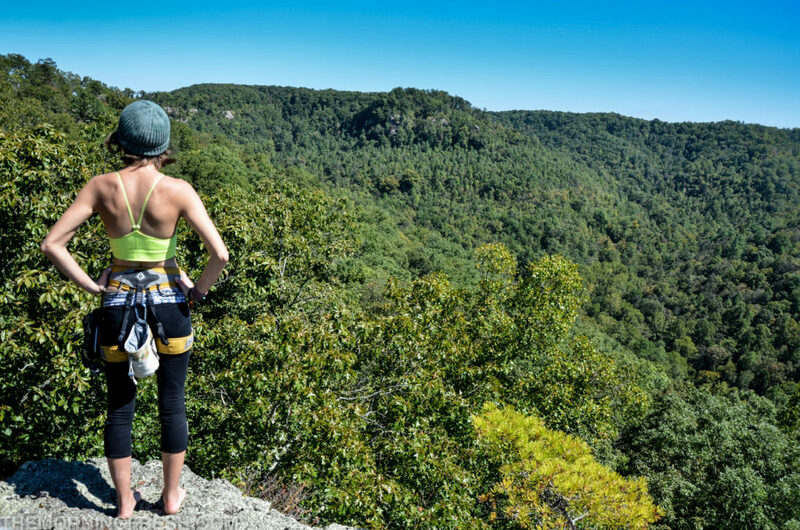 Here’s the thing: No matter how many rocks I climb, mountains I camp atop, landscapes I journey to – I will always be a Florida girl at heart. I’ve tried to shake it, but I just can’t seem to escape my Sunshine State roots. 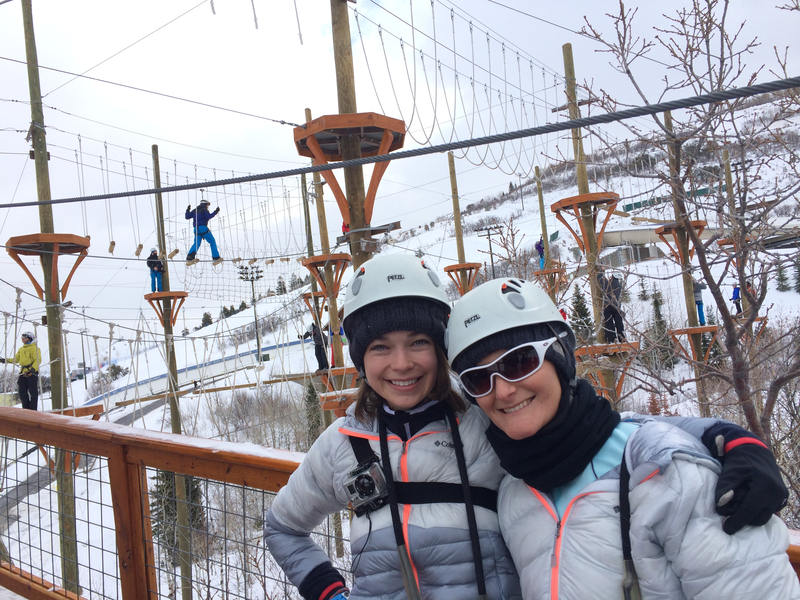 So when Columbia Sportswear revealed that they would be sending me (and 40 other inspiring adventurers) to Park City for a weekend of competitive snow sports, I knew I was in for a challenging adventure. 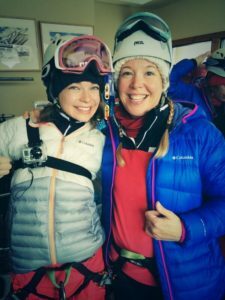 The #omnigames wasn’t just a challenge against my fellow #omniten – it was a challenge I had to fight against myself and my personal limits. Upon arriving in Utah, a dusting of snow accumulated on my plane as we taxied into the terminal. This should have been my first clue that I was in over my head. I ran around outside while we loaded up the shuttles, and kept my face pressed against the glass watching the flurries fall as we make the trek to Park City. It was beautiful. I awoke on the first morning of the Omnigames to quite a sight: snow was gusting through our lodge with a newfound ferociousness that turned my “oh boy, snow, snow, snow!” into “uh-oh, better put my big girl boots on.” The beauty of the frozen landscape was suddenly quite intimidating. So, how does a totally unprepared, absolutely out of her element lady react when thrown into a land of snowstorms and ski slopes? 1. Team up with a loyal, adventurous partner. The teamwork dynamic of the competition was left a mystery until moments before the event began. My team was the first to be created – by drawing two names out of a hat. My partner was Derek Loranger of 100peaks.com, a fellow Trail Sherpa blogger from California. We both met with wide-eyes – I’m one of the youngest, most inexperienced kids in the crew, and he’s much more mature and wise, but as the games progressed, we quickly bonded into a strong team. Our first day’s performance wasn’t exactly impressive – we started day two in last place – but we more than made up for it during ropes course and vertical skiing challenges that bumped us up to 9th place. Derek led our team with a strong show during the skiing portion, and I did my best to keep us both afloat during the ropes adventure. Many high-fives were exchanged, and our spirits remained high through any battle! 2. Always go forth in the spirit of #TryingStuff. Y’all, the Omnigames were no joke. You can get an excellent break-down of all the events from Patrick Gensel, but here’s the basic spread of challenges we were faced with: dog-sledding, shooting archery, building snow shelters and primitive fires, maneuvering ropes courses 55 feet in the air, and clocking the most vertical footage in 90 minutes. The ropes course is the only activity I knew I would dominate, so the rest of the Omnigames were spent just going for it. Did I shoot a single arrow that hit the target? Absolutely not, but I adored the experience of pulling my bow back and feeling the arrow zip past my fingers into the air. Did I make a fire while the snow was blowing sideways? Negative – but I’m redoing the challenge this weekend while camping! While going forth with the spirit of adventure, you have to be comfortable with the idea of failure, and always persevere with the determination to keep trying stuff. Just before being split up into teams, Columbia Sportswear revealed what the prize of the Omnigames would be: the top five teams would form the new Omniten season and embark on a journey to Jordan in spring to explore the country while documenting the adventure. After feeling pretty decent about our first day’s events, my partner and I were slightly taken aback when the scores were read after the first morning and we came in dead last place – but that just provided extra fuel for our fire. We regrouped, amped up the determination, and rallied our hardest during the final challenges. The result? Our team bumped all the way up to 8th place, meaning that our chances of making it to Jordan were still alive. Giving up is never a good choice – you always have to keep charging forward and trying you hardest (even if you crash into a snowbank minutes after putting on skis). Keeping it creative was one of the most important things that led to my team’s success during the Omnigames – and we weren’t the only ones kept on our toes. 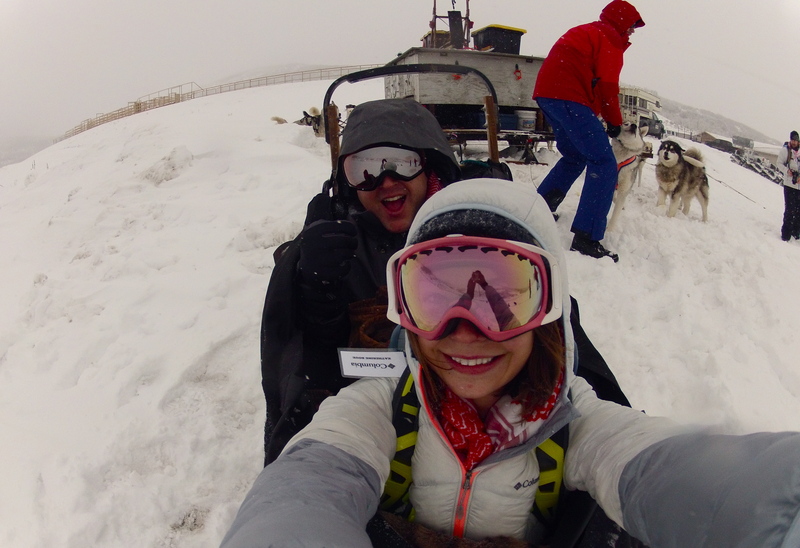 Even the Columbia Sportswear crew had to think outside the box when blizzard conditions forced us to alter the second day’s events (and they rocked it). As an adventurer, you’ve got skills and experience that can help you out in any situation. While building a snow shelter, I turned to my knowledge of knots to help secure our makeshift structure, and my partner dug deep into his past experience with summertime shelters to utilize those skills in a different season. And it worked – I would totally have slept in our shelter for an evening. When it came to the ropes course, I channeled every ounce of climbing know-how to help me balance my way across the obstacles. 5. Remember what the adventure is really all about. There’s no denying that every single person competing out in Park City really, really wanted to win a spot on the trip to Jordan – but most of us hardly let that overshadow what was really going on. We were reunited with friends we rarely get to see, sent to play in an unbelievable landscape packed with activities most of us have never experienced, and blessed with the opportunity to do it all while testing new gear. There was plenty of competition, but it was never trumped by pure camaraderie. When Derek and I struggled to get our fire going, opponents Beth and Justin quickly huddled over our grill and tried to help us spark a blaze until time was up. During the ropes course, Kristie and her partner Weston shared tips for making it through each obstacle. At the end of every competition, hugs and high-fives were shared by all. Like any adventure, the bottom line was sharing memories, pushing personal boundaries, and having a good time. The final event of the Omnigames is still alive and awaiting a victor – it’s called “Charles Dickens,” and it is a challenge to retell the story of our experiences out in Park City. Keep your eyes on the blog for two more posts that highlight stories that go beyond the usual recap, and follow @TheMorningFresh on Instagram for #7DaysofOmniten – a little project that highlights my favorite images and mini-stories from the trip. I’m somewhat of a climbing shoe snob. I have unwavering loyalty to my favorite pairs, despise certain models just because they irk me, and am not easily won over by newcomers to my shoe collection. The Cypher Phelix is a beautifully created shoe for female climbers. It features a feminine (but not too girly) design that I have gotten countless compliments on, and Velcro closures that use webbing for a sturdy solution that won’t be worn out easily. 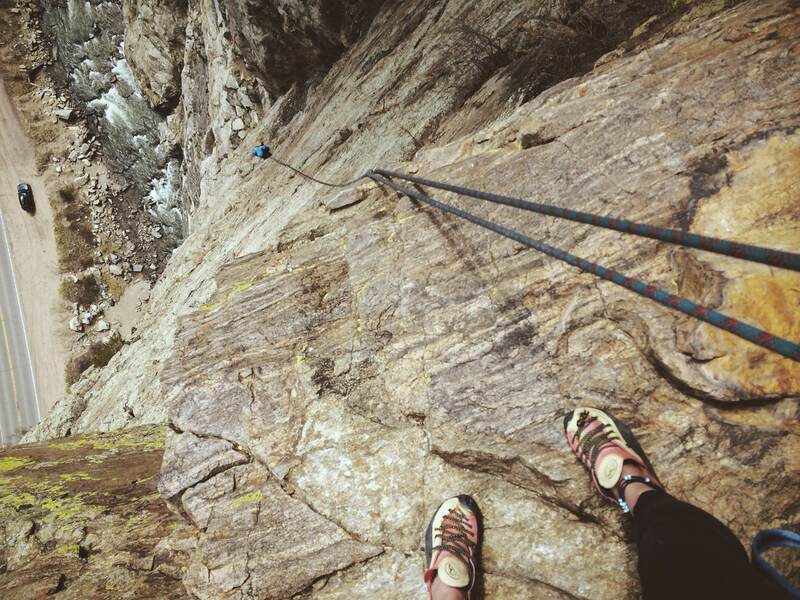 I received my Phelix shoes while in Colorado, and have since tested them while bouldering on granite at Rocky Mountain National Park, sport climbing for three weeks at the Red River Gorge, route-setting at Tallahassee Rock Gym, and adventuring through my favorite southeastern boulder fields. Overall, I’m a big fan of these shoes – but I don’t think I totally agree with the “official description” for them. The ultimate strength of these shoes is smearing on slabs or vertical surfaces. 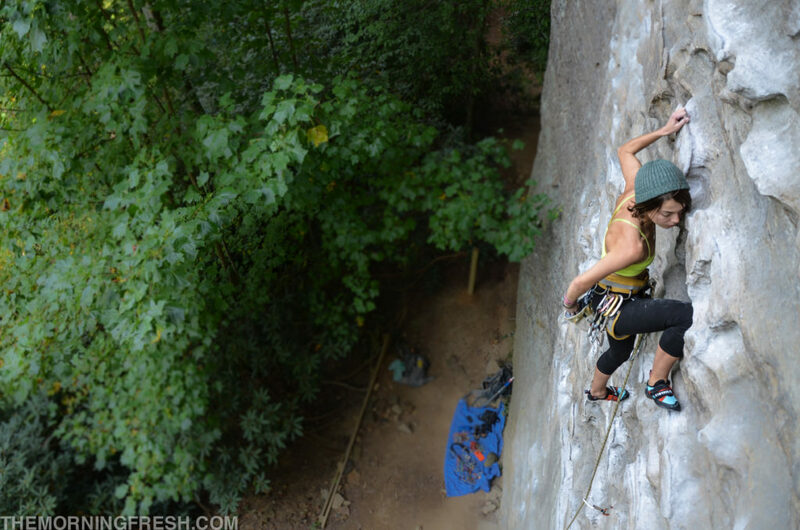 I have never had a pair of shoes that I truly felt confident smearing with until I climbed “The Scoop” at Rocktown in Georgia while wearing the Cypher Phelix. Every millimeter of the shoe’s surface gripped onto the sandstone slab as I shuffled my feet along the rock, never once slipping. Impressive. You can press onto the tiniest of jibs and the Phelix will stay put. One of the striking features of the Cypher Phelix shoe is how comfortable they are on your feet. I wear a street size 6 and got these climbing shoes in a 5.5, which provided just the perfect amount of masochistic-climber-toe-crunch while still being cozy enough to wear for hours while setting routes in a rock gym (which is another one of the situations where the Phelix becomes my preferred shoe – they are so comfortable while you’re pulling an all-night route setting session). Initially, I was very skeptical about the Enigma HP rubber on the Cypher Phelix – it’s super soft compared to the usual hard rubber I climb with, so I feared I would wear through the shoes very quickly. Surprisingly, the rubber has held up well, except for a few spots where it seems like I wore through the first little layer to expose the stronger surface beneath. The softness allows me to feel small features when I’m dancing up a slab, which I love. 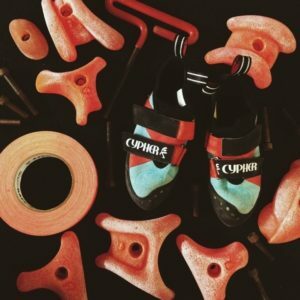 As with any climbing shoe, I did notice a few things that the Cypher Phelix shoe isn’t built for: namely, overhanging climbs and heel hooks. Cypher specifically mentions heel hooking as a strength for these shoes, but my heel is just a little too big to finagle strong heel hooks in the Phelix – but it would probably be a great fit for someone with a smaller heel. For reference, La Sportiva Katanas and Testarossas are my favorite shoes for heel hooks – so if those heels are baggy on you, the Phelix will likely be a great fit. Overall, these shoes have earned their place in my small collection of go-to climbing shoes. 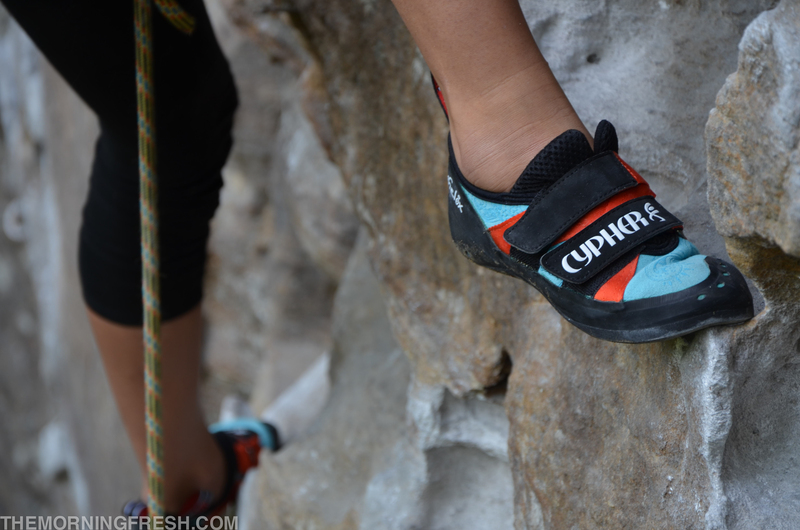 The Cypher Phelix is my new preferred shoe for climbing slabs, long sport routes, warming up, and setting routes. I would highly recommend it as a first shoe for beginner climbers, or as a comfortable shoe for someone like me with way too many pairs of aggressive shoes. Retailing for $100, the Cypher Phelix is affordably priced and worth the investment. These shoes look good, feel good, and will leave your feet feeling cozy even after a long day of sending.